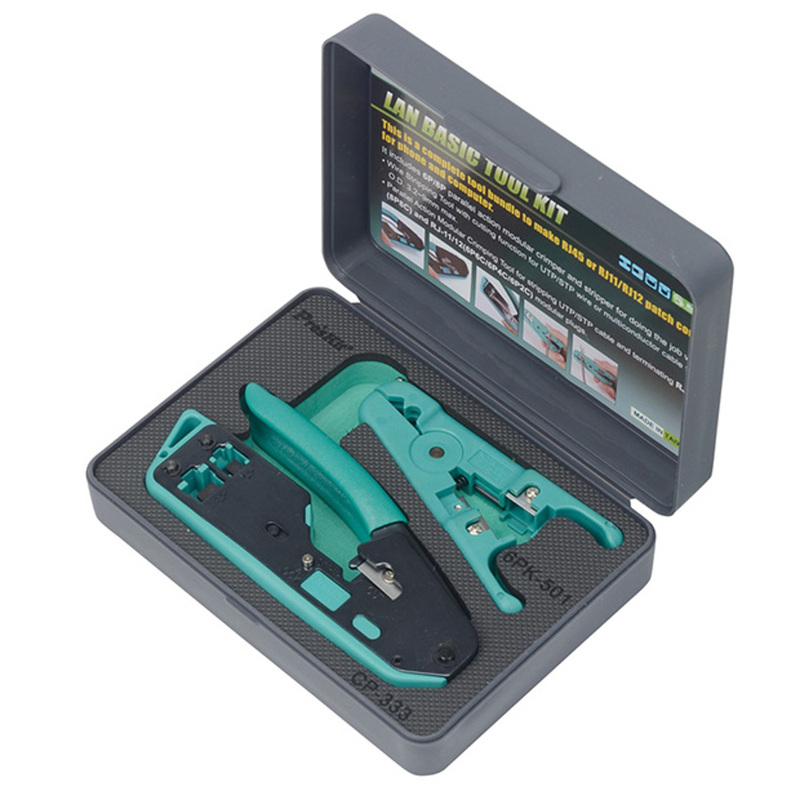 This is a complete tool bundle to make RJ45 or RJ11/RJ12 patch cords for phone and computer. 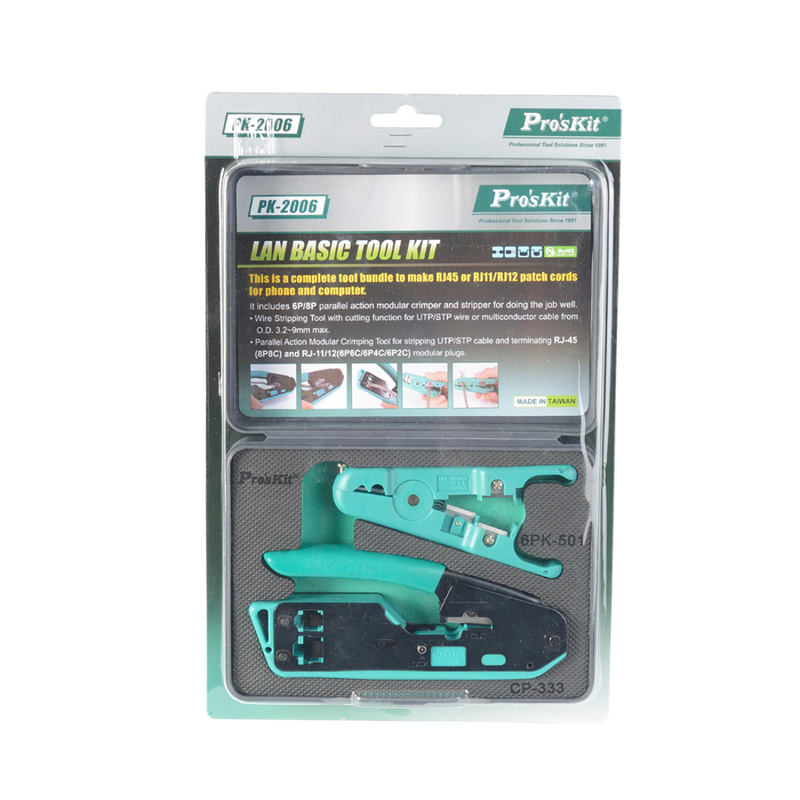 It includes 6P/8P parallel action modular crimper and stripper to complete the job. For UTP/STP wire or multiconductor cable from O.D. 3.2-9mm max. For terminating RJ-45 (8P8C) and RJ-11/12(6P6C/6P4C/6P2C) modular plugs.